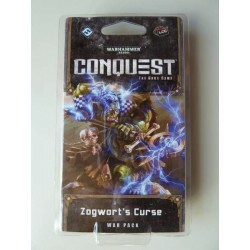 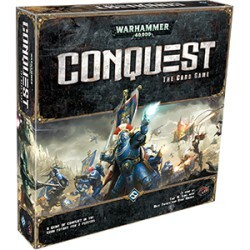 Warhammer 40,000 : Conquest There are 6 products. 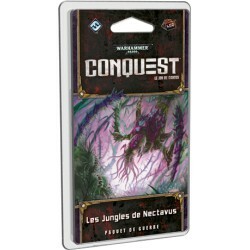 Cycle 03 Monde Mortel Pack 1 sur 6 Language : French Age : 14+ Players : 2 Time : 30-60 Min. 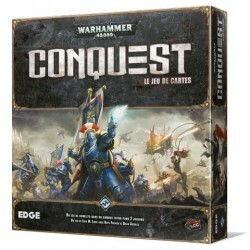 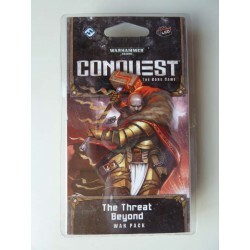 Each player controls one warlord and his armies 7 factions : Space Marines, Imperial Guard, Orks, Chaos, Dark Eldar, Eldar & Tau Each factions have a unique flavor and style of play and an alignment wheel introduces the possibility of forming an alliance between two factions Language : French Age : 14+ Players : 2 Time : 30-60 min. 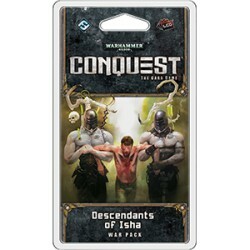 Descendants of Isha, the Warlord cycle is an expansion for the Living Card Game Warhammer 40,000 : Conquest Contains two new warlords, one Eldar and one Dark Eldar, each with an eight-card signature squad, alongside forty-two other cards (three copies each of fourteen distinct cards) Contains cards 111-134 of the Warlord cycle.